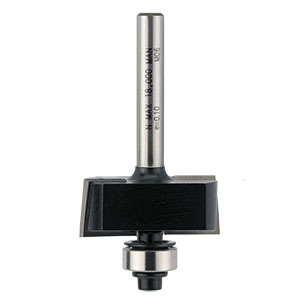 This two flute cutter may be used for producing rebates, step edges etc. Guide bearings are fitted to produce a rebate width dimension (A). 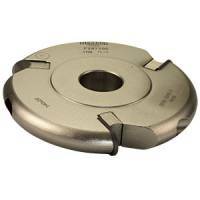 These cutters will only accept the bearing size as supplied. For cutters with interchangeable bearings, please see the rebate adjustable range. The T1723B-1/2 is a special design which has a recessed bearing, with no gap between the blades and bearing.